Whether you realize it or not, you inhabit and experience architecture in nearly every moment of your life. 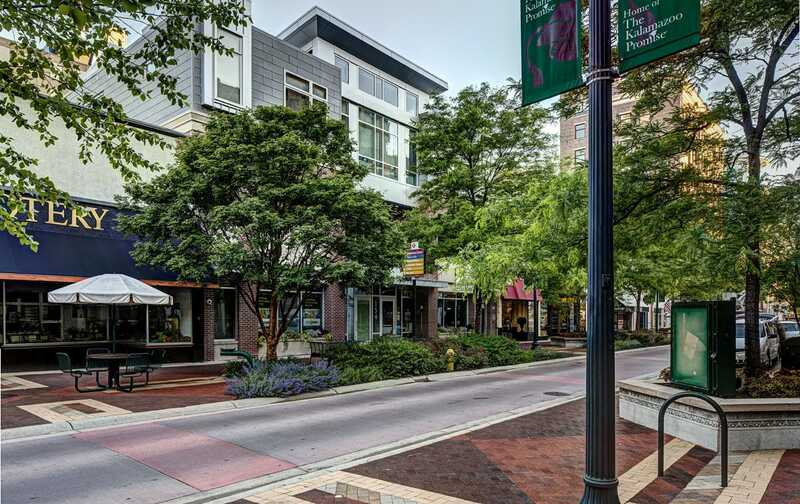 Places to work, shop, eat, and play are the fabric of thriving communities. TowerPinkster understands how the built environment can impact people’s daily lives. Whether it’s new construction, renovation, or historic preservation, our designs improve the lives of people as they engage with architecture. 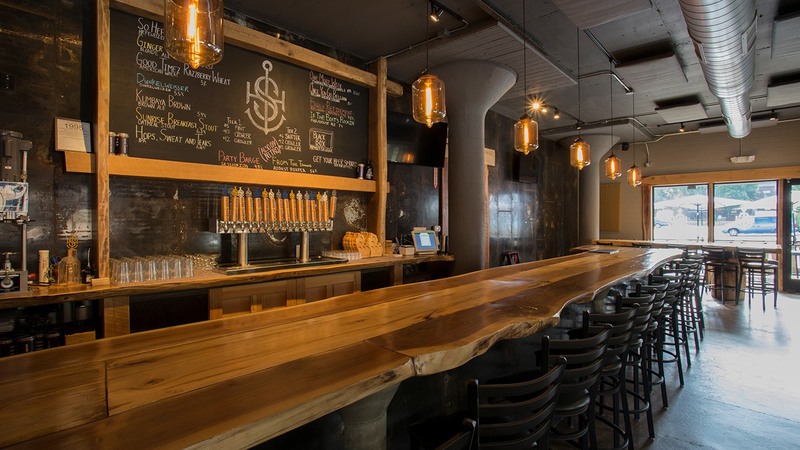 Our projects range from office and retail spaces to breweries, manufacturing facilities, and beyond. Stryker desired to create a new campus in order to promote internal collaboration and efficiency, connect workers in an engaging, technology-rich facility, while also stimulating the growth of the Instruments Division and enriching the Portage/Kalamazoo County community. 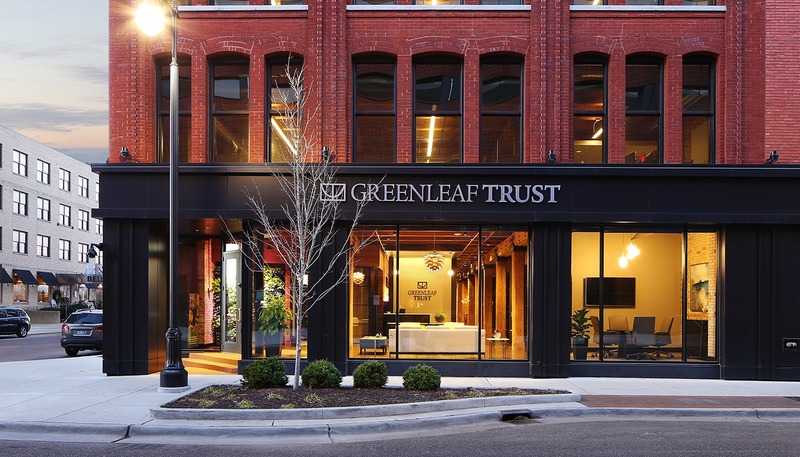 TowerPinkster worked with both Catalyst Development and Greenleaf Trust in order to create a high-end, tailored interior aesthetic which complements Greenleaf’s other offices around the state of Michigan. 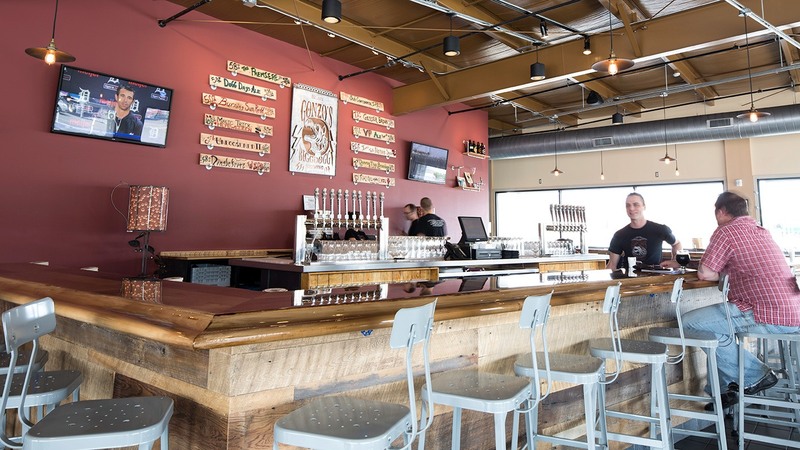 Silver Harbor Brewing Company teamed with TowerPinkster to repurpose an existing warehouse facility in St. Joseph, Michigan and turn it into a new taproom and production brewery. The Great Lakes Center for the Arts is a destination for cultural performances and events around the nation. The Center creates the perfect venue for private occasions, with a private lounge reserved exclusively for donors. 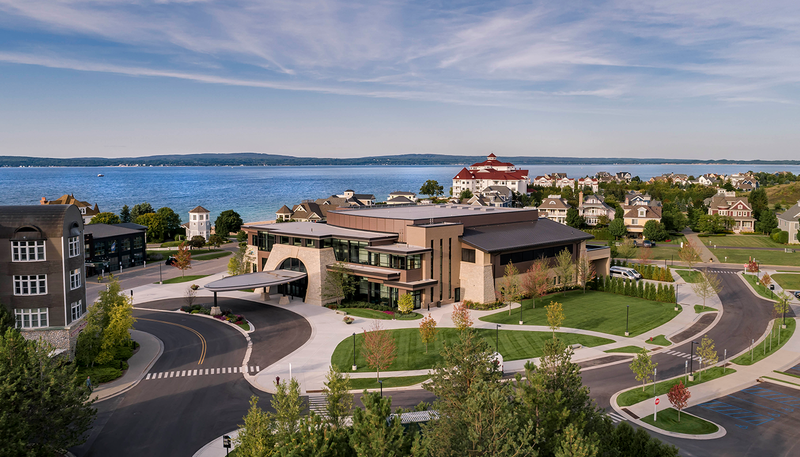 The design is the perfect marriage of the aesthetic of the Northern Michigan landscape and the beauty of the performing arts. As part of a master planning effort by TowerPinkster, the YMCA facility on Maple Street was in need of facility improvements. TowerPinkster created a design that would bring new functionality and place-making to the space. 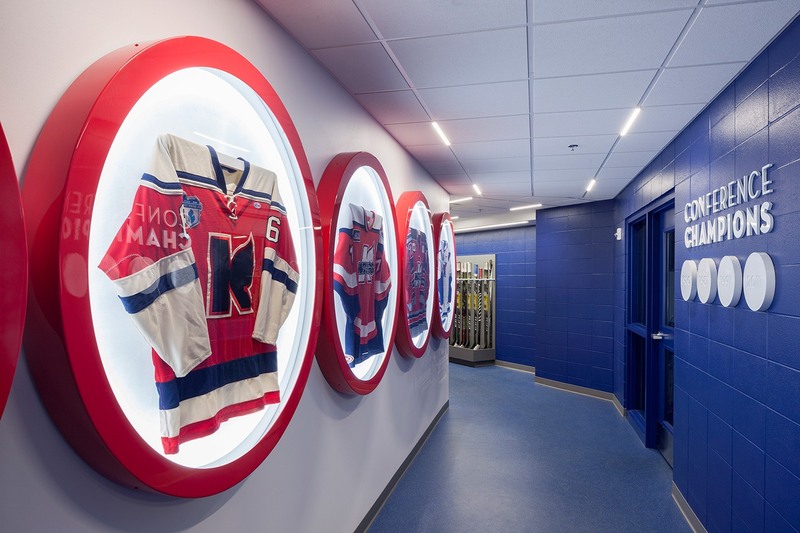 TowerPinkster collaborated with the K-Wings hockey coach and other representatives from Greenleaf Hospitality to design and renovate their existing 6,000 square foot locker room in order to create a first-class facility for the team. Located in the heart of downtown Kalamazoo, Catalyst Development enlisted TowerPinkster to develop a new mixed-use building. 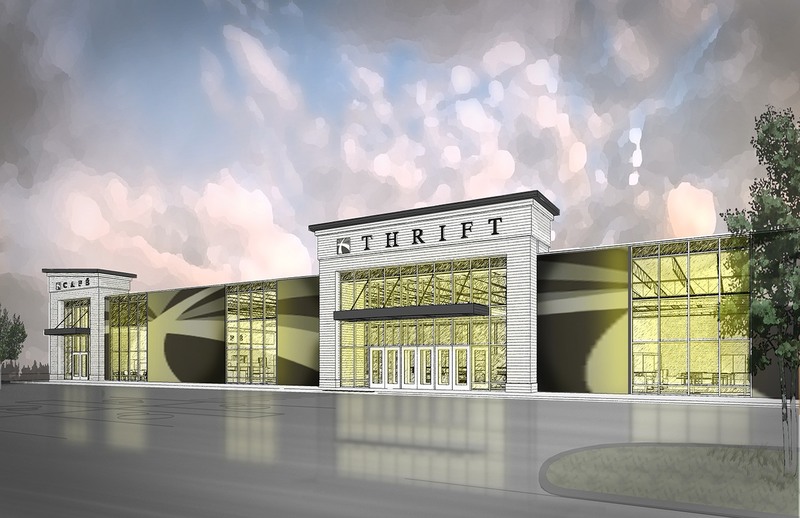 The 275,000 square foot building will be located on an existing parking lot across from the popular gathering place, Arcadia Creek Festival Place, and will include office and residential space. Zeigler Auto Group desired to replace the existing showroom constructed in 1986 to provide a fresh new face to their expanding Stadium Drive location. The challenge was to create a new storefront conforming to the design standards of BMW and Lincoln while maintaining a cohesive front facade. A need for additional space and a redesigned workflow prompted Bronson Healthcare Group to investigate a new space for their IT department. 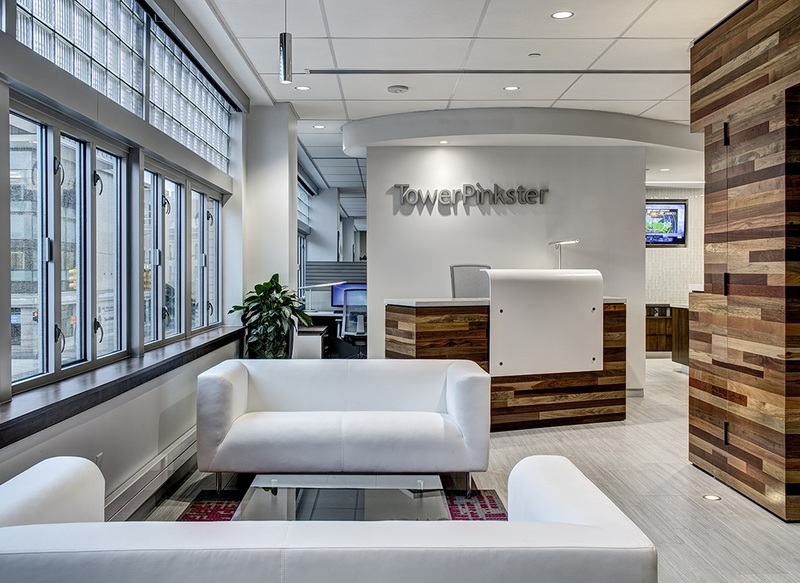 TowerPinkster reconfigured 38,000 square feet in an existing office building to create a new main entrance to the second floor, private and open offices, break areas, conference rooms, and team spaces. The TowerPinkster team restored 4 East Fulton in Grand Rapids to its original, minimally-detailed, art deco style while achieving LEED Platinum status. 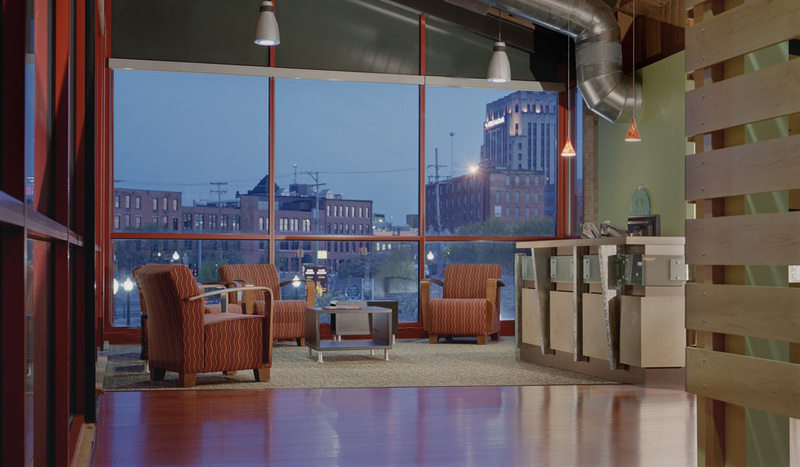 The second floor and a portion of the first floor were renovated into an open-office environment to serve as its new Grand Rapids office. HARK Orchids opened its first facility outside of Germany to serve as the North American headquarters. The facility includes climate controlled laboratory space, cultivation areas, a production center, and distribution space. The German office aesthetic and operations are reflected in the new design. Orrin B. Hayes, a multi-franchise automobile dealership, occupied its downtown Kalamazoo location for more than 75 years. 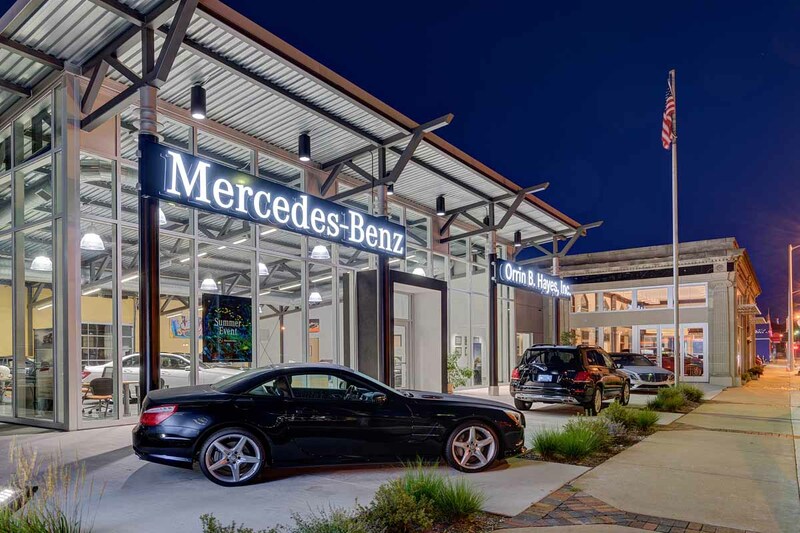 Anticipating future growth, an addition was created for a new Mercedes-Benz showroom, and the existing service area and customer lounge spaces renovated. Together, the addition and renovations showcase a refreshed character, image, and brand for the dealership. Originally constructed as a fire station, the 1860’s Kalamazoo Corporation Hall breathes new life into its urban environment as a mixed-use development with retail and residential housing. Skylights, a green roof, a geothermal system, and recycled materials showcase a truly sustainable redevelopment of this historic building. Holland Rescue Mission, a non-profit organization dedicated to changing lives of the less fortunate through Christ, purchased a vacant Menard’s building to accommodate expanded service offerings. TowerPinkster designed a two-phased concept including plans for a Thrift Store, Café, Auto Sales, Auto Repair and Recycling Center. 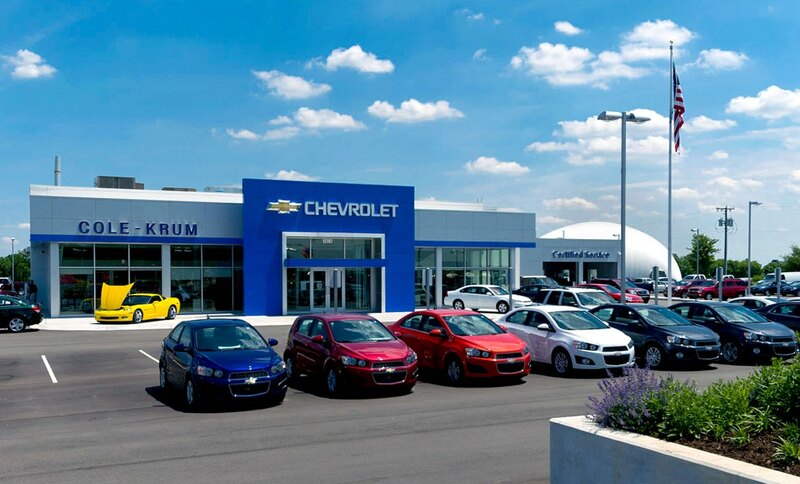 As part of Cole Automotive Group’s new Chevrolet Updated Image Program, owners decided to close the existing Vicksburg dealership and build a replacement facility in the adjacent town of Schoolcraft. TowerPinkster was tasked with developing the new car sales and service facility, conforming with Chevrolet’s new image design requirements. 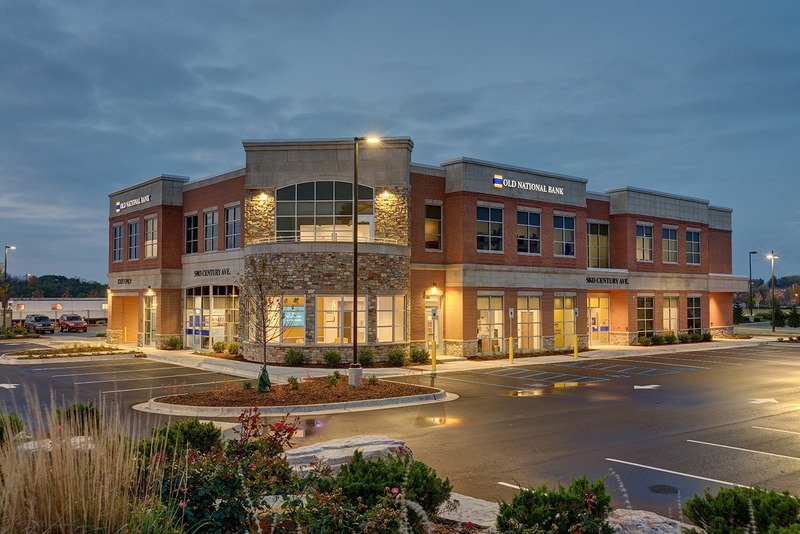 TowerPinkster collaborated with Old National Bank and AVB Construction to design a two-story, 19,700 square-foot banking and office center within Kalamazoo's Corner@Drake development. TowerPinkster converted this former industrial building into a code-compliant public facility. The transformation included plans for factory, business, storage, and assembly space, as well as required firewall separation. Occupancy counts and egress paths were also defined to create the new brewery and taproom. Arcadia Ales expanded operations to include a Production Facility and Brewhouse in Kalamazoo. 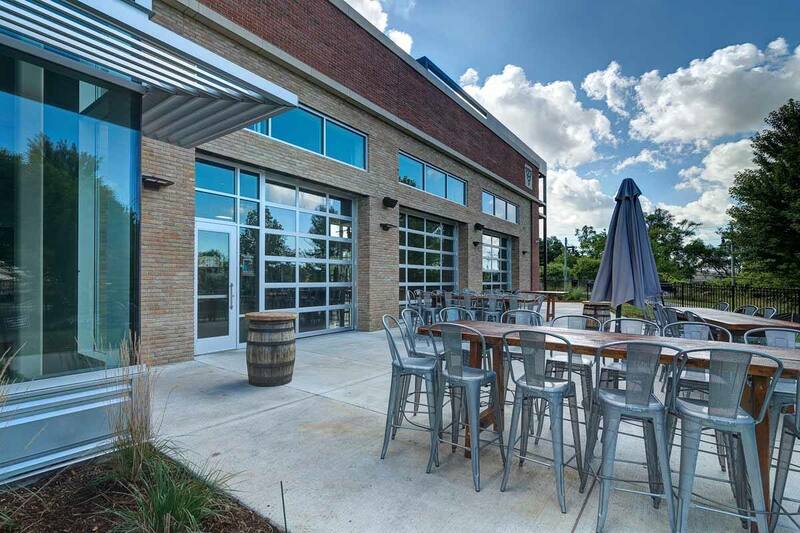 The facility is located on a former Brownfield site and houses production, shipping and receiving, bottling and warehousing, as well as a new tasting room, an eatery, and a retail sales area. 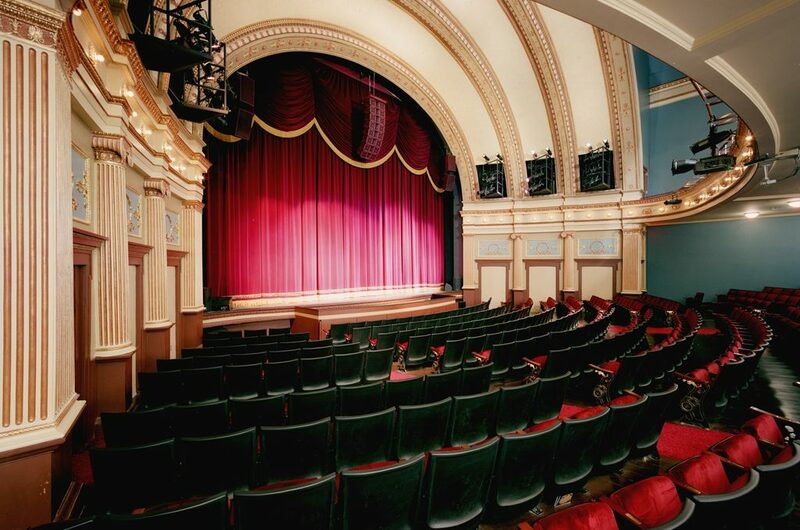 The TowerPinkster design team of historic preservation, sound, and lighting experts collaborated to revive the Grand Rapids Civic Theatre's original grandeur while organizing the space for greater efficiency and accessibility. 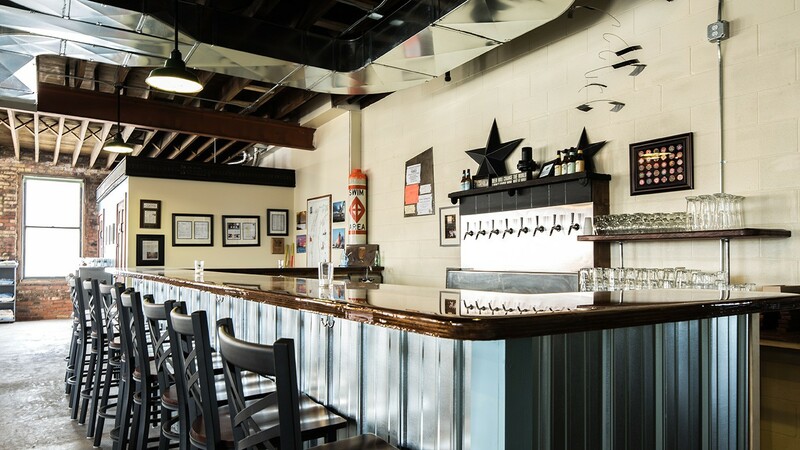 TowerPinkster worked with Gonzo's BiggDogg Brewing to convert a former car showroom and mechanics shop into a new 10,750 SF restaurant and brewery with a 15-barrel system. 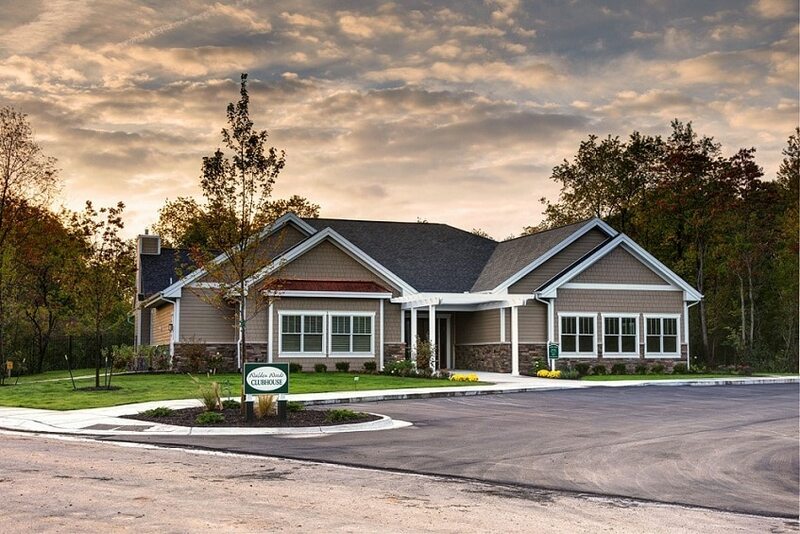 As a part of AVB's Walden Woods condominium development, TowerPinkster designed the clubhouse which includes a multi-purpose classroom, a kitchen area, an open lounge space, a fitness center, and an outdoor pool and patio. TowerPinkster collaborated with HOK, Christman, and Quinn Evans to renovate Lansing's historic 1930’s Ottawa Street Power Station into 10 floors of Class A office space, meeting rooms and social spaces, with basement level parking. Proving engineering design for the project, TowerPinkster implemented strategies that resulted in the building achieving LEED Gold status. For our own Kalamazoo office, TowerPinkster repurposed a historic downtown building into a modern, flexible office space that incorporates a variety of large and small collaboration spaces. Ample natural light, recycled materials and a variety of sustainable strategies resulted in the first LEED-certified facility in southwest Michigan and the first in the state for an AE firm. TowerPinkster transformed this 25,000 SF warehouse, located in Kalamazoo’s Rivers Edge District, into a place of worship. The River Church is now warm and welcoming, featuring a large sanctuary space as well as breakout spaces for meetings, general gathering, and childcare. 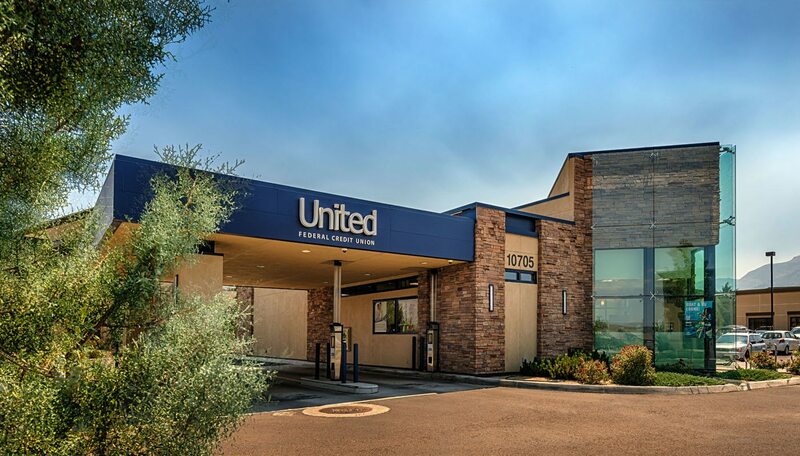 With two locations in Reno and Sparks, Nevada, each UFCU branch relied mainly upon remote teller transactions. When UFCU purchased these branches, TowerPinkster helped in rebranding the facilities to create a better customer service experience that encourages more interaction between customers and staff.